Obituary* 8 Aug 2016� Doris Culpepper Mims, 95, of Bristol and formerly of Tallahassee and Crawfordville, passed away early Saturday morning, August 6, 2016 at the Margaret Dozier Hospice House at Big Bend Hospice. E-mail written 1998 to Lew Griffin from Jo Culpepper Martin. Lolus Culpepper, Daughter, 5 1/2, AL, AL, AL. Joseph D. Culpepper, d. 5 Jan 1959 at 72 years in Early Co., GA; Res. in Early Co., GA.
Obituary of William C. Culpepper, published 23 Jan 1997. Carrie M. Culpepper, d. 23 Feb 1968 at 73 years in Seminole Co., GA; Res. in Early Co., GA.
Obituary of Doris C. Mims, published in the Tallahassee Democrat on Aug. 8, 2016. Edna Culpepper and W L Bales are the parents of an otherwise unidentified son born __ 1928 in Jones Co., Texas. Samuel Henry Culpepper, Male, born __ 1933 in Jones Co., Texas, child of William Newton Culpepper and Mary Beatrice Hewett. William Newton Culpepper, died 19 Sep 1962 in Coleman Co., TX. E-mail written 2002 to Lew Griffin from Samuel LaWayne Culpepper (#46463). Jackie Kenneth Culpepper, Male, born 17 Nov 1944 in Taylor Co., Texas, child of Kenneth Ross Culpepper and Tuila Gay Green. Kenneth R Culpepper, Male, Single, died 2 Apr 1971 in Taylor Co., TX. 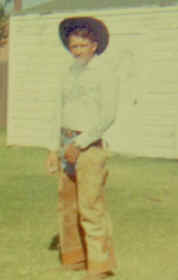 Jackie Kenneth Culpepper, Male, died 26 Jun 1980 in Scurry Co., TX. Betty Jean Culpepper, Female, born __ 1946 in Taylor Co., Texas, child of Kenneth Ross Culpepper and Twila Gay Green. Peggy Ellen Culpepper, Female, born __ 1950 in Taylor Co., Texas, child of Kenneth Ross Culpepper and Twila Gay Green. Stephnie Francis Culpepper, Female, born 4 Jul 1967 in Fisher Co., Texas, child of Peggy Ellen Culpepper. Judy Francis Culpepper, Female, born __ 1948 in Taylor Co., Texas, child of Kenneth Ross Culpepper and Twila Gay Green. Janey Twila Culpepper, Female, born __ 1951 in Taylor Co., Texas, child of Kenneth Ross Culpepper and Twila Gay Green. Joe Clifton Culpepper, Male, born 31 Aug 1944 in Taylor Co., Texas, child of Henry Clifton Culpepper and Leona Dale Crawford. Joe Clifton Culpepper, Male, died 19 Nov 1983 in Randall Co., TX. Find A Grave Memorial# 38244811. Carl Oliver, 62, of Sweetwater, died Saturday, July 17, at Hendrick Medical Center. Services were held at 10 a.m. on Tuesday, July 20, at McCoy Chapel of Memories with Rev. Ward Hayes officiating. A graveside service will be held at 4 p.m. the same day, at City of Levelland Cemetery under the direction of McCoy Chapel of Memories. Oliver was born May 18, 1942, in Poteau, Okla., and married Peggy Ellen Culpepper July 28, 1990, in Sweetwater. He had lived in Sweetwater since 1982, and had lived in Levelland before that since he was four-years-old. Oliver was a Baptist and had worked in the oil fields as a driller for 25 years prior to the oil bust. He had worked for the Sweetwater Housing Authority for the past 12 years in maintenance. Survivors include his wife, Peggy of Sweetwater; one son, Tony Oliver of Lubbock; one daughter, Stephanie Hambrick and husband, Paul, of Possum Kingdom; three sisters, Gladys Channell of Childress, Lois Robinson of Littlefield and Eva Brockman of Levelland; special friend, Brandon Fraizer of Sweetwater; mother-in-law, Twila Culpepper of Sweetwater; and five grandchildren. Sweetwater Reporter, Sweetwater, Nolan Co., Texas. Obituary of Carl Oliver, published Tuesday, 20 Jul 2004.